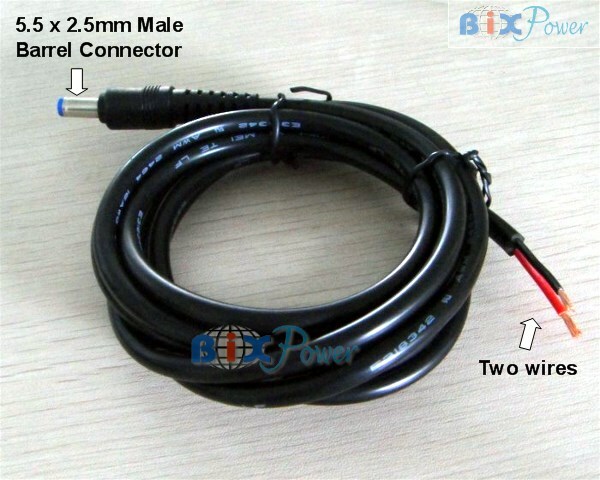 9 Feet long DC Power Cable with 5.5x2.5mm male connector one one end, 2 bare wires on other end. The cable one end is a 5.5mm x 2.5mm male connector, another end has two bare wires. 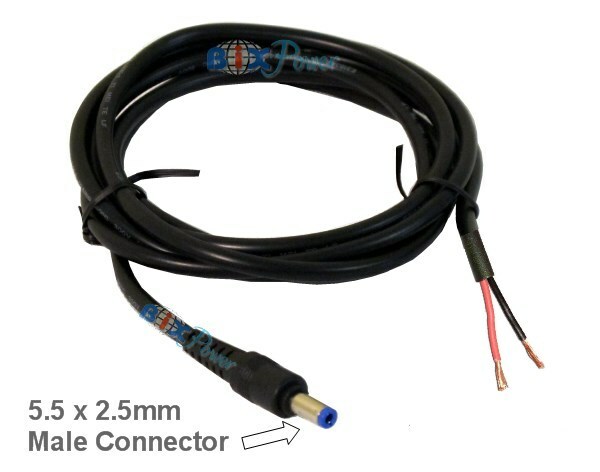 If you need a different size connector, you may plug a BiXPower C series connector tip over the 5.5x2.5mm barrel connector to form a different size connector.